If an afternoon on the Ski Dubai slope isn’t enough to satisfy your snow cravings, now that Winter has arrived in Europe it could be time to explore a different destination. Wizzair is offering direct flights from Dubai to Sofia, Bulgaria where the snow is already falling. 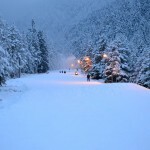 Bulgaria’s largest and newest ski resort, Bansko is a 2 hour transfer from Sofia airport and is a unique ski resort if you fancy a break from the norm. 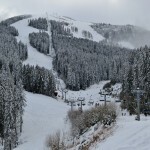 The resort was built in 2005 with all modern lifts and infrastructure, on the mountain above a UNESCO Heritage site. After a day on the slopes you can wander around the winding cobbled streets, discover hidden taverns and see traditional Bulgarian life carrying on in the old town. 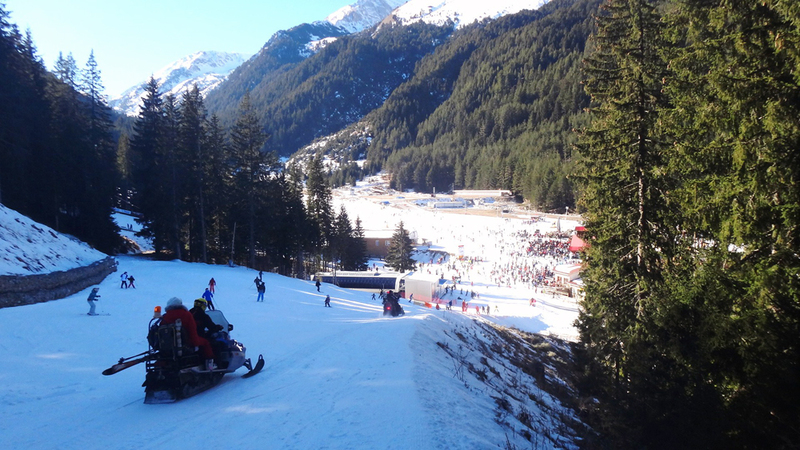 Bansko has 75km of pistes, including a blue run (great for all abilities) that starts at the top of the mountain (2600m) and carries on down to the town, covering a lengthy 16km. You might need to stop for a hot chocolate break on the way down! Beginners have a choice of easy slopes to find their ski legs and join ski school, whilst intermediate skiers will enjoy cruising on the blue and red slopes. More advanced skiers will enjoy the challenge of the World Cup black and the great off-piste opportunities. For a real adventure, you can even hire a local guide to show you some of the best back country runs in Bulgaria or try a 4×4 snow safari! Mixed groups can go their separate ways in the mornings before meeting each other for a tasty lunch on the slopes. The VIP restaurant serves delicious pizza and pasta or try Hotel Shiligarnika for a traditional Bulgarian menu. 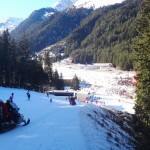 Ski hire and lesson prices are very reasonable. Bansko Ski Mania offer a set of full of ski equipment starting at 30 Leva (70 AED) for 1 day and a 2 hour group lesson costs 80 Leva (187 AED) with a very friendly and English speaking service. Lift passes start at 58 Leva (136 AED) for one day and everything can be pre-booked before you arrive to make sure that your holiday runs smoothly. There is plenty of accommodation available in Bansko, from 5 star hotels such as the Kempinski to self catered apartments through to traditional cosy, catered chalets like Ski Chalet Soltir where you are looked after and catered for by English hosts during your entire stay. Cloud Nine Chalets are offering a special 10% discount on their catered chalet holidays to all Expat Echo readers when they quote EED.